is the source from which self-respect springs." 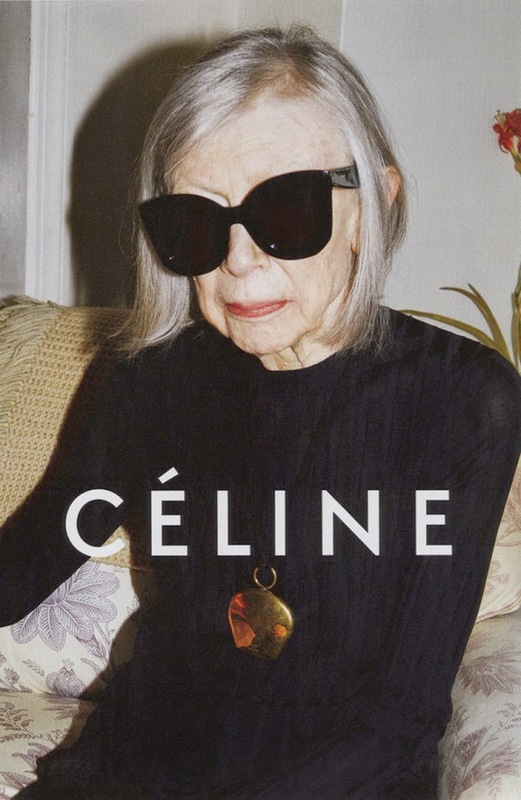 I love the fact that Phoebe Philo for Céline puts 80 year old writer Joan Didion as poster girl in new campaign. Talk about celebrating beauty at any age and a step away from youth fixated fashion industry, giving the Céline brand even more cult status and impact of being a timeless brand. Joan Didion is the author of several books. Her biggest bestseller is The Year of Magical Thinking, an amazing book that I read in my book club a few years ago. Although I don´t remember the whole book (I never do, I read too many, too fast...) its' title stuck with me, being one of the most beautiful book titles. - there lies the great, singular power of self-respect."